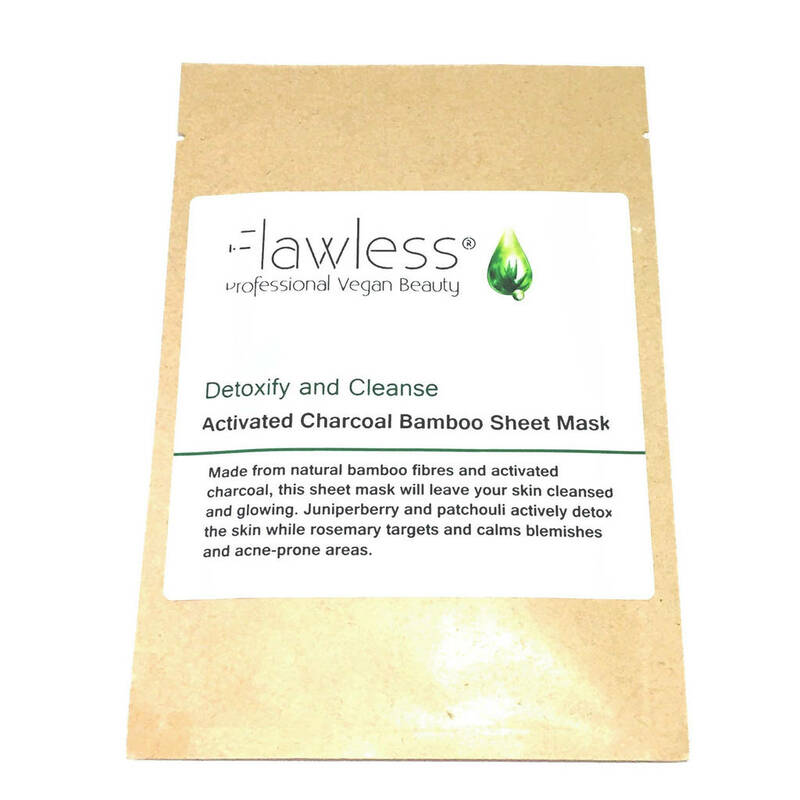 Activated charcoal infuxed organic bamboo sheet mask to Detox and Cleanse blemish prone skin. 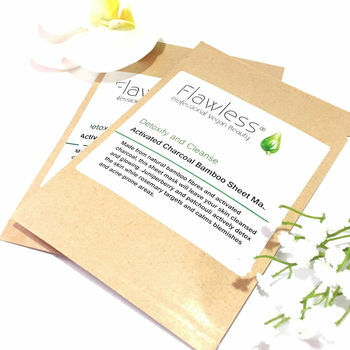 With Juniperberry and Patchouli. Made from natural bamboo fibres and purifying activated charcoal, this sheet mask will leave your skin cleansed and glowing. 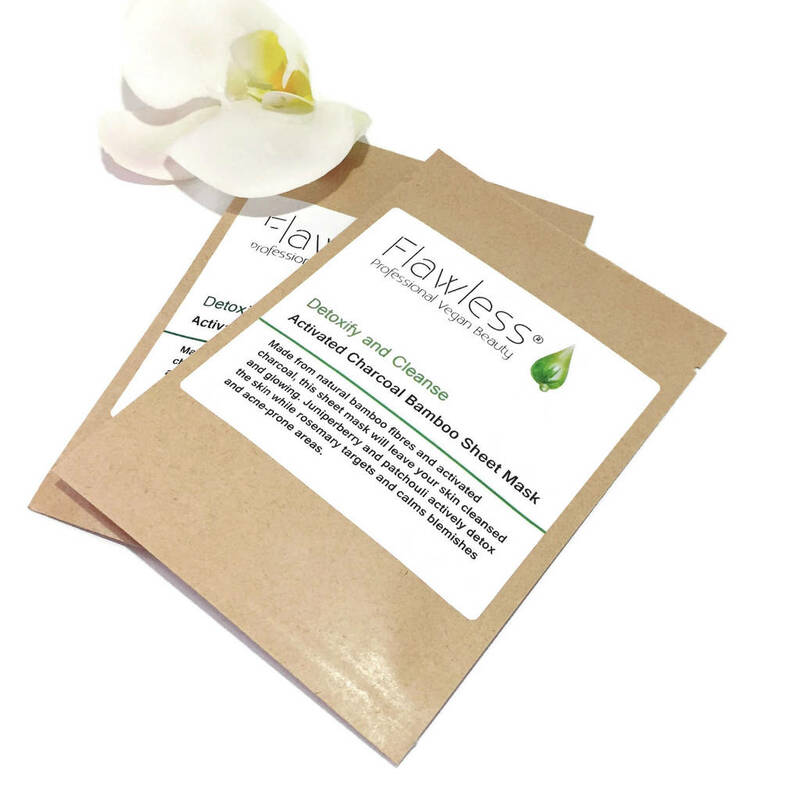 Ingredients:Ingredients: Aqua (Water), Almond Seed Oil (Simmondsia chinensis), Juniperberry Hydrolate, Camelia Oil (Camelia sinensis), Aloe Vera (Aloe barbadensis), Lysolecithin, Sclerotium gum, Xanthan gum, Pullalan, Silica, Patchouli Oil (Pogostemon cablin), Cedarwood Oil (Cedrus atlantica), Rosemary Oil (Rosmarinus officinalis), Preservative (Phenoxyethanol & Ethylhexylglycerin).